PlasticFreeRhyl: Announcing our Autumn Beach Clean! Announcing our Autumn Beach Clean! Hi all. Just a first reminder of this coming Saturday’s #RhylBeachClean. We’re organising it through Surfers Against Sewage, as usual, but also working with the Marine Conservation Society, for whom the weekend is their 25th annual Great British Beach Clean. You can find details of our event on their website as well as our usual communication channels. We’re also part of the Welsh Government sponsored “All Wales Beach Clean” run by Keep Wales Tidy. The MCS would be happy if you register for the event at www.mcsuk.org/beachwatch/beach/rhyl-east-lifeboat-station-splash-point/event/2018-09-15 but as usual, we don’t have a registration system. Just turn up on Saturday morning from 9.30 am onwards to sign the registration sheet and to hear our standard safety briefing. We are expecting quite a few folk to turn up, so if you have your own litter pickers and/or gloves, that would be very helpful. Denbighshire will be lending us their kit, so hopefully we’ll be able to manage things. We’re meeting outside the Kite Surf Café – there is a car park there (which we think is free!) although we’re intending to get along as much of our beach and promenade as possible. We’ll send out further information and guidance during the week, but if you need to ask anything, Keith’s email is keithrjones01@gmail.com. Keep the love coming for our amazing beach. 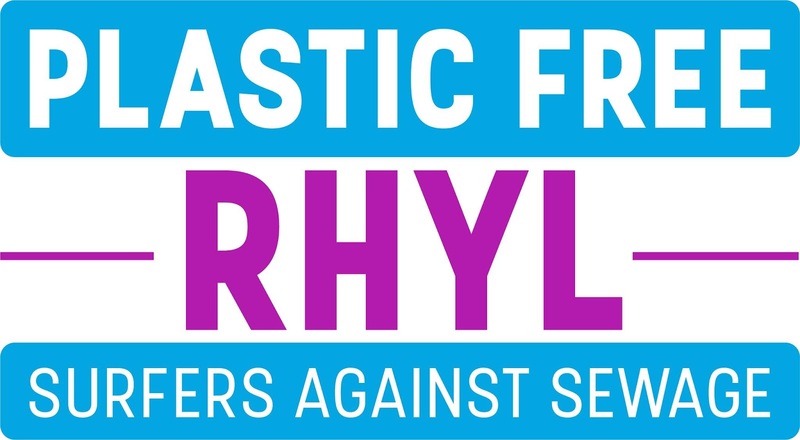 Be part of #PlasticFreeRhyl. Share the event around your friends. If you can’t make this Saturday, don’t worry. We’re looking at further #RhylBeachClean events during the month.